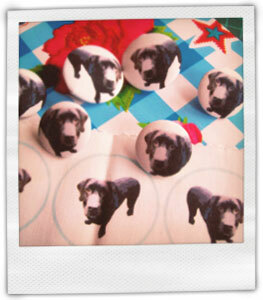 Create 9 fabric covered buttons with your own design. Perfect match to your favourite fabric. 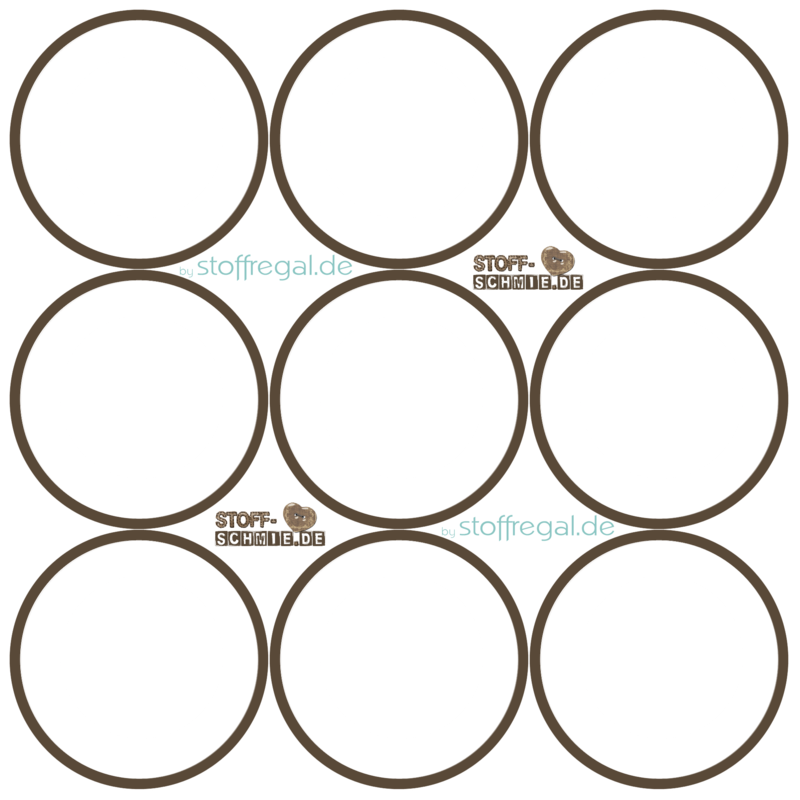 But crafter can use them also for jewellery or knobs for dolls. 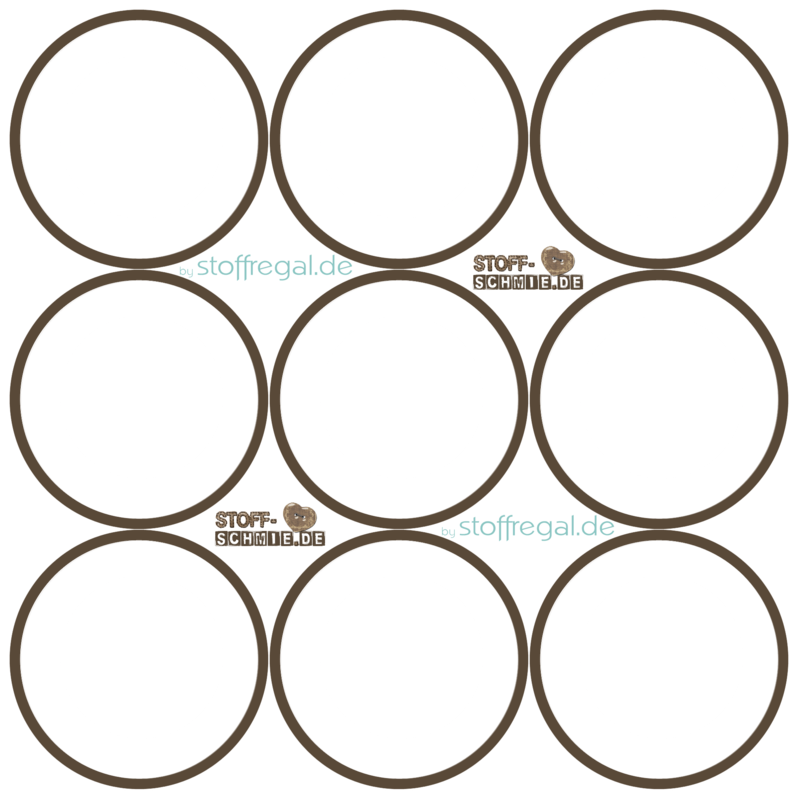 Together with our favourite partner Stoff-Regal we produce these fabric covered buttons in diameter of 11mm, 14mm, 20mm or 30mm. Handmade in Germany. We take best cotton fabric with aluminium button including a brass bail. The 11/14mm is even more near to the fabric. 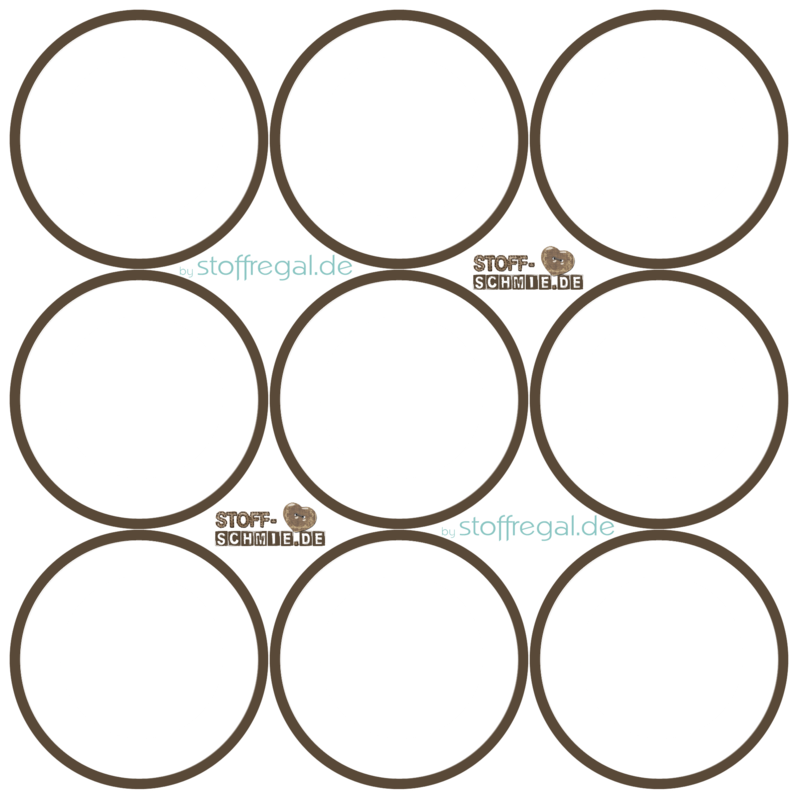 Depending on the size of your buttons you should center your design in the middle of the visible part (sichtbarer Bereich). Please note that we need more fabric around the visible area to produce a "perfekt" knob. 1. You need a good idea. 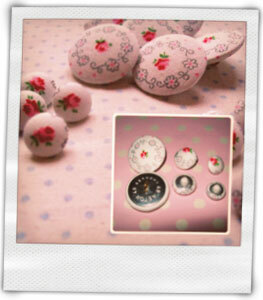 Whether a ring, earrings, brooches, buttons for doll clothes or just fabric covered buttons. The motives and ideas are endless, if you want to have a real unique knob. 2. 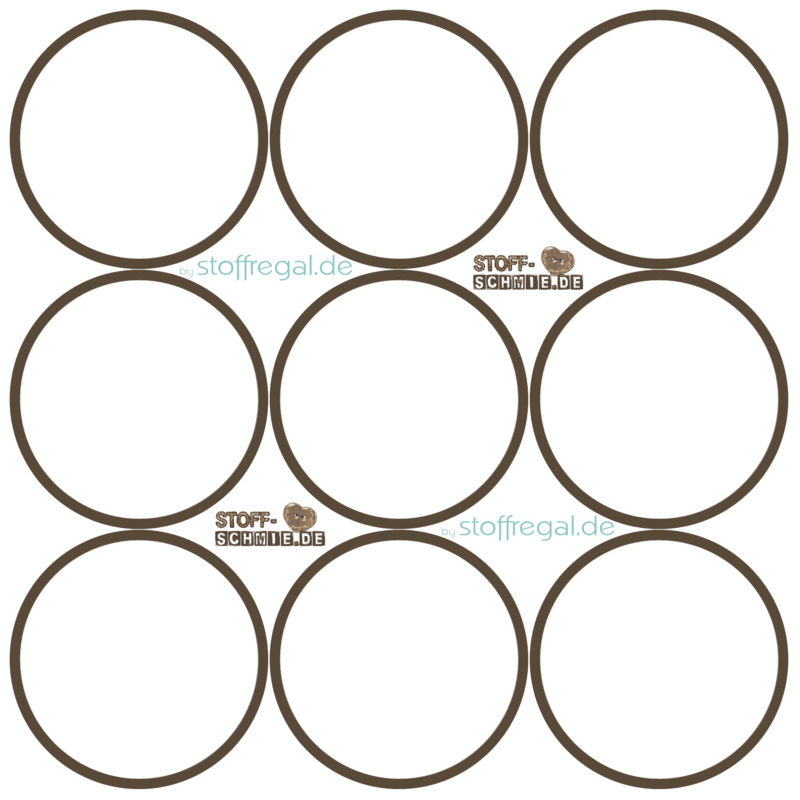 We finish your fabric covered buttons by hand right here in Germany. We adjust the motives by eye. Every single button is not like the other but that's the charme of it. 3. 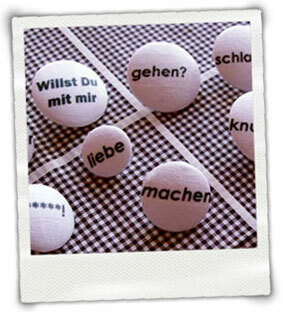 You can enjoy your special handmade buttons. 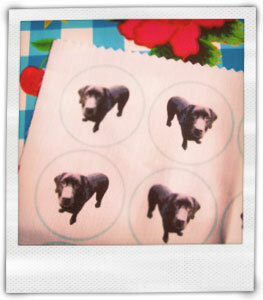 See our office dog Brams on the pictures. 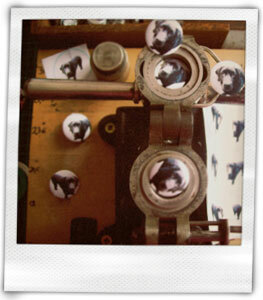 The buttons can be washed. Please not more than 40 degrees and take a mild detergent. Thank you.